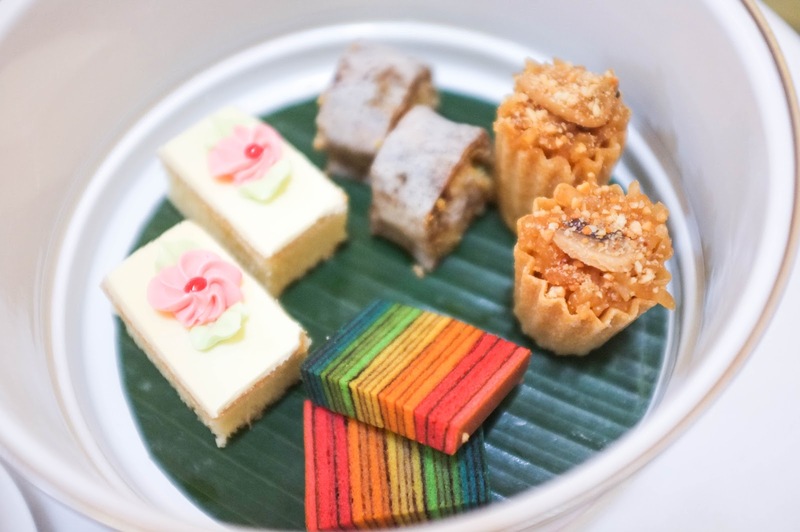 In the Peranakan Afternoon Tea Menu, find traditional delights like Nyonya Kueh Pie Tee, Traditional Penang Popiah, Apam Balik, Rainbow Kueh and Kueh Seri Muka. 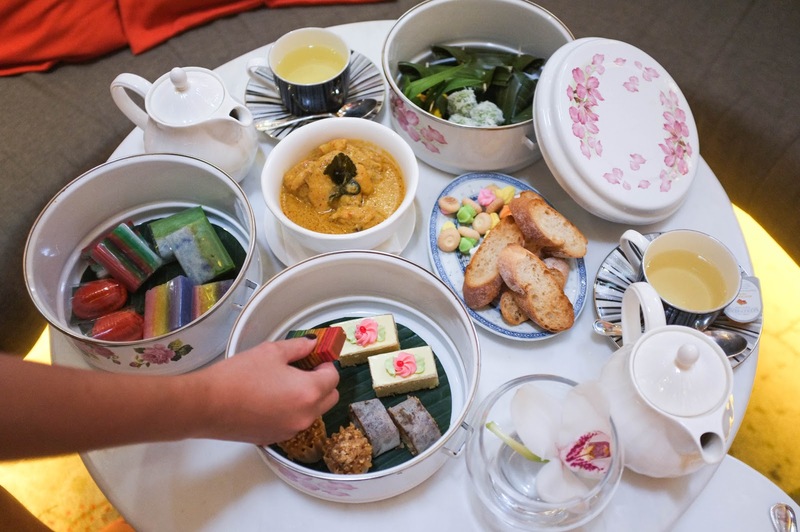 You also get to enjoy traditional Nyonya Chicken Curry which was one of our favourites in this menu. I thought the servings for two was quite generous and bountiful. 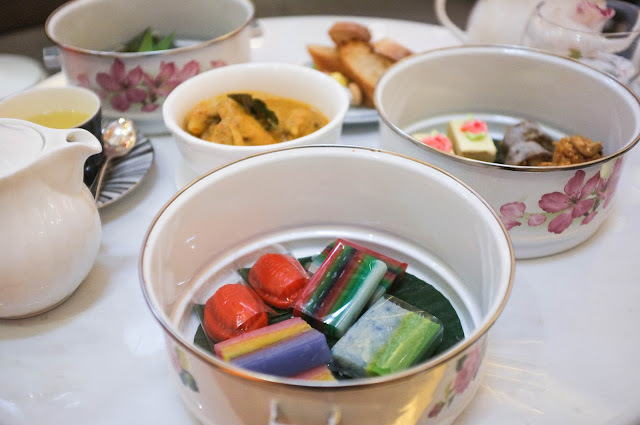 Some of the items in the menu reminds me of my childhood, like the colour biscuits and rainbow kueh. For a place that does not specialise in Peranakan cuisine, I think Pan Pacific Singapore has performed better than expected. The delicacies are very much delectable. 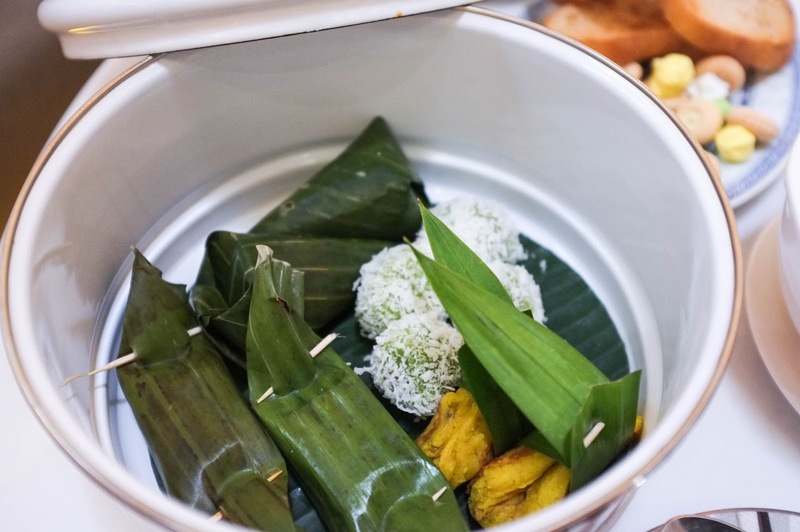 Besides, who doesn't adore the lovely display of the food in this traditional metal tin? 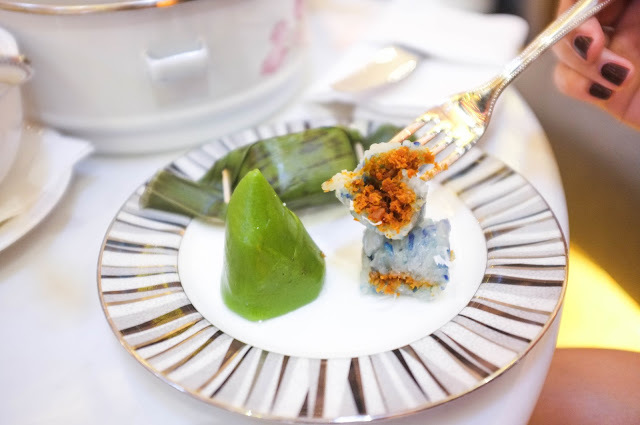 Nyonya Kueh Pie Tee, Traditional Penang Popiah and Rainbow Kueh Lapis. 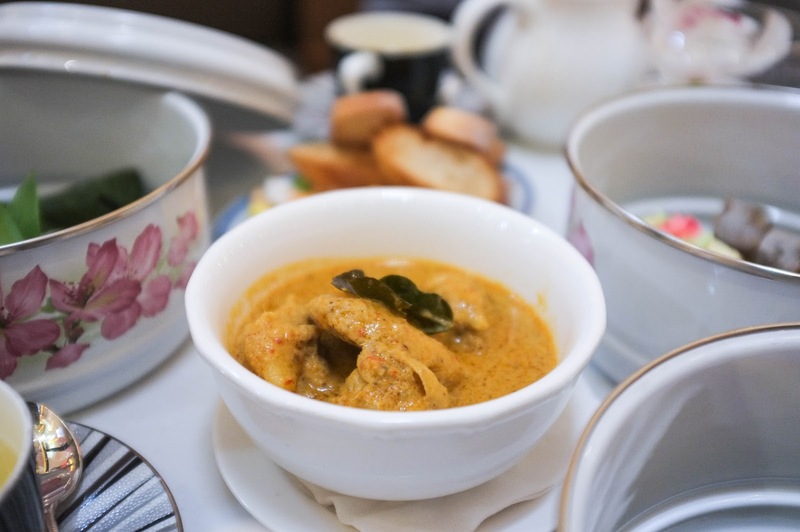 Traditional Nyonya Chicken Curry which isn't too spicy yet very flavourful. 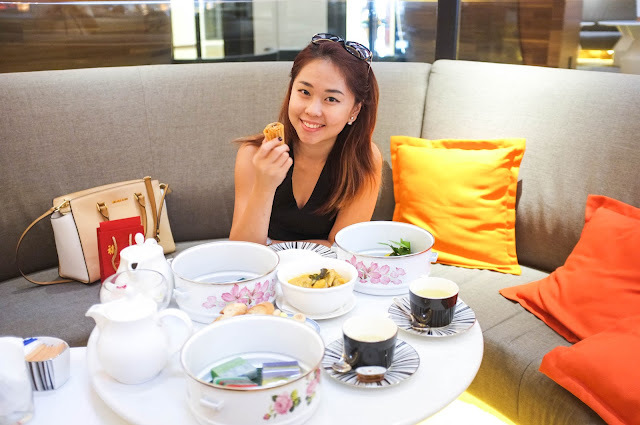 The chicken are very tender and well soaked with peranakan spices. Finger-licking good! The kuehs are as good as what you usually find outside. 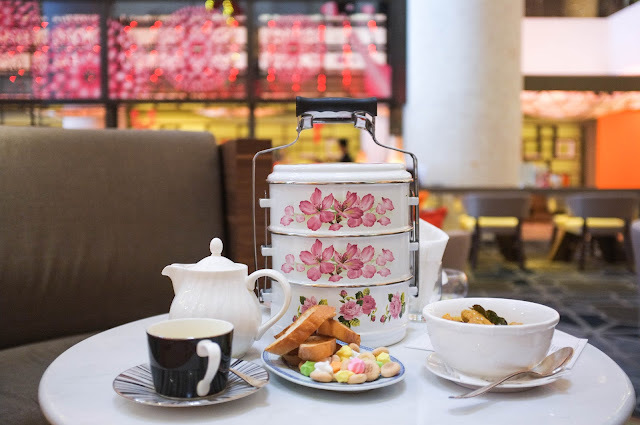 Besides, for such a generous serving in a lovely relaxing ambience, I strongly recommend Pan Pacific Singapore Afternoon Tea Sets for ladies' gathering or family weekend outings. I am pretty sure my parents would love to come and relive their childhood since many of these food are commonly found in their generations. It's a pity that we can hardly find these traditional delicacies, so this is definitely a place I would recommend if you would like to taste some authentic Peranakan delights. All photos taken by my bf, Michael Z. 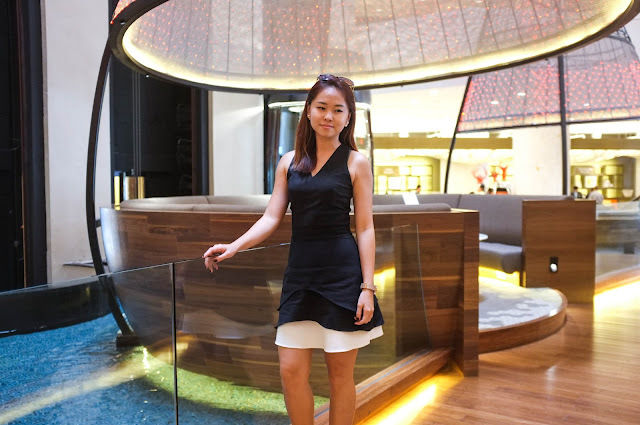 Thank you Pan Pacific Singapore for hosting us to such wonderful afternoon tea session.